As you know, I’m neck deep in the middle of redecorating our new home. 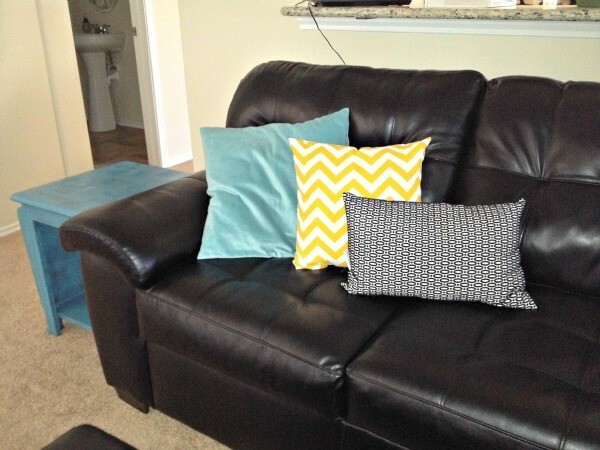 I’ve been incorporating colors I’ve never decorated with before and it’s really brightening up our home. 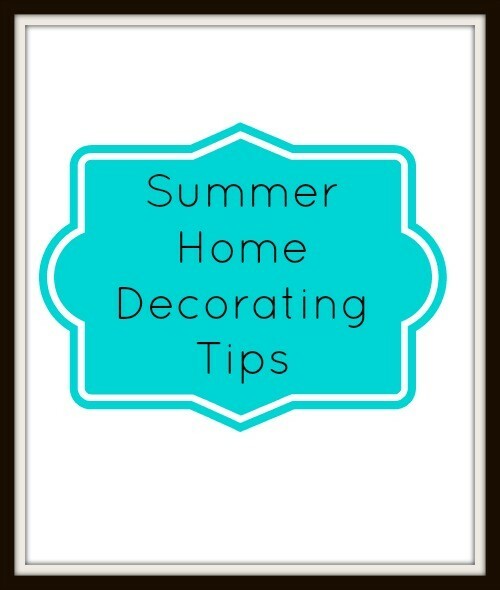 Some of you may even swap out your decor during the different seasons, or maybe you’re decorating a beach house or cottage. Whatever your decorating project may be, I have some summer home decorating tips from the owner of Venetian Décor, Pam Beattie. I’ll also have a few summer recipes from Pam to share with you throughout the week, so don’t miss those! Pam crafts timeless pieces that unites a blend of shabby chic, French, boho, eco-friendly and refined glamour in her hand-crafted, family heirloom preservation and luxury furniture and vintage décor company, Venetian Décor. Venetian Décor gives new life through its exquisite furniture, pillows, cosmetic and jewelry travel bags, eye masks, phones covers and personal accessories that are one-of-a-kind timeless pieces. Venetian Décor, the leader in eloquent heirloom restoration (furs, brooches, pendants, etc. ), aims at putting a new twist on family history and old world charm. 2. Bring in the outdoors. Fresh cut flowers, plants and fresh fruit centerpieces from the garden or your local Farmer’s Market will make your home smell and look beautiful. If you’re into a more rustic feel, you can use eco-friendly items like hemp and bamboo to bring a more natural and exotic outdoor feel indoors. 3. Bringing in floral patterned upholstery (such as a loveseat or ottoman) and floral paintings will give the room a whole new look for the summer months. 4. Update your patio furniture with new plush cushions or pillows to give it a new feeling of paradise. Add a fresh flower or fruit centerpiece to the table to really make it zen. You can have company over and serve them outside! 5. Create a cozy reading nook in the yard by adding a swing, hammock or bench that you can go and escape to with a good summer read. 6. Incorporate seashells or starfish into your décor. 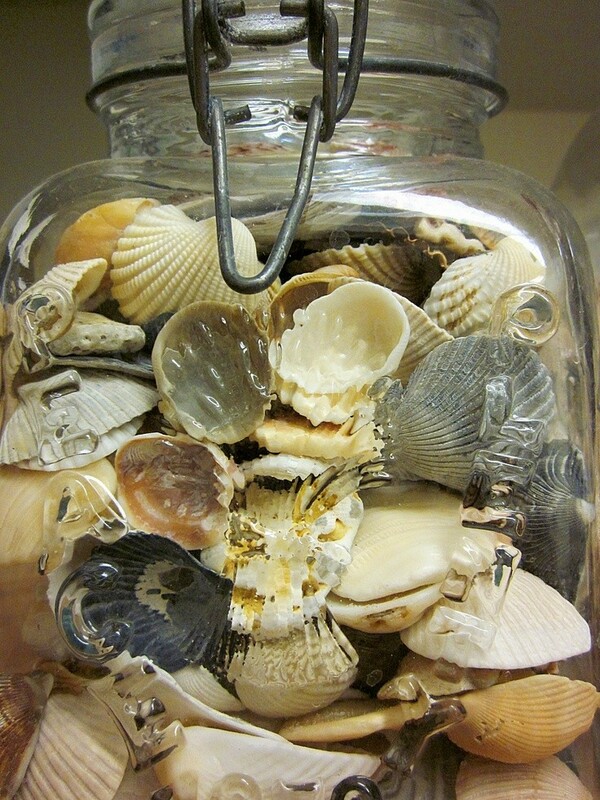 You can fill a vase or décor piece with seashells, replace the decorative rocks that accent your candles on a plate/platter with seashells, hot glue seashells onto a mirror or picture frame, or add a large shell or starfish to the bookshelf (you can even use two big seashells as bookends), fireplace mantel or coffee table to make it feel like you’re at the ocean. 7. If you enjoy entertaining outside build a Tiki bar. Decorate the bar with bamboo and add thatching to make the roof. Build shelves behind the bar to store liquor, glassware, garnishes and fun bar items such as island inspired straws, glassware decorations, mini umbrellas, etc. You can leave a large space in the corner of the bar for a mini fridge to keep cocktails nice and cool. When the bar is finished add lei’s, tropical Hawaiian-inspired flowers, Tiki totem poles, Tiki masks and even bamboo bar stools and lanterns to really make it authentic! Serve signature Hawaiian drinks and cocktails in coconuts! 8. 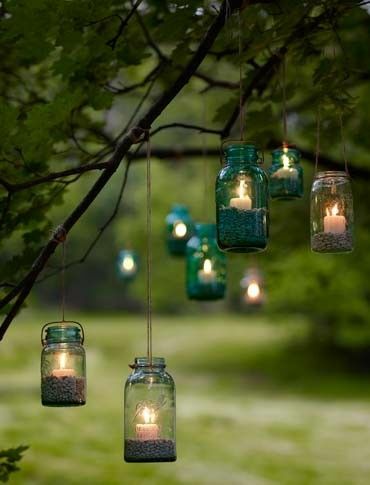 Even if you’re not adding a Tiki bar to your backyard, add Tiki torches, lanterns, lights or a fire pit so you can enjoy the nighttime summer air. 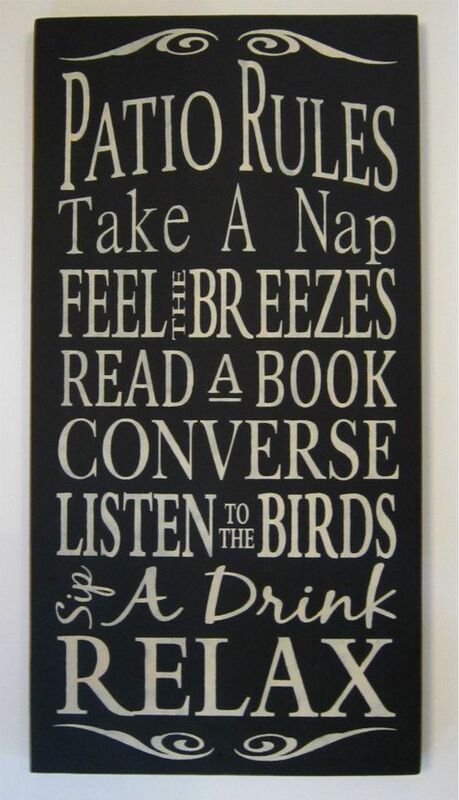 I love the Patio Rules sign. Did you make it? If yes, how? If not, where did you get it?